Just returned from my annual steelhead trip to Snake River, fishing was crappy but scenery and company was top notch. Most of our time was spend running whitewater and exploring Hells Canyon but we did manage to fish for 2 days without much luck. If you ever get a chance to visit Southern Idaho a tour up the Snake River is a must. 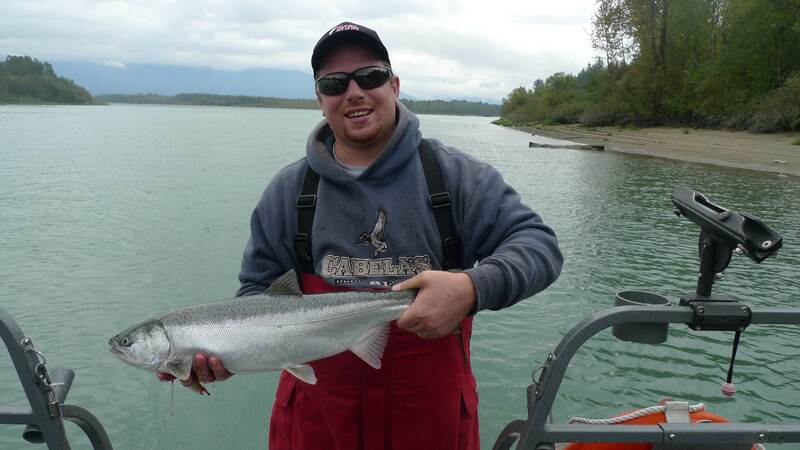 Both salmon and sturgeon fishing has slowed considerably from a week ago but there are still some fish to be caught. The weather is very unstable at this time of year so it is very much a day to day fishery. If the rain and wind are not an issue, fishing is usually decent on both Harrison and Fraser Rivers, if wind comes up it can become very nasty and not allot of fun. 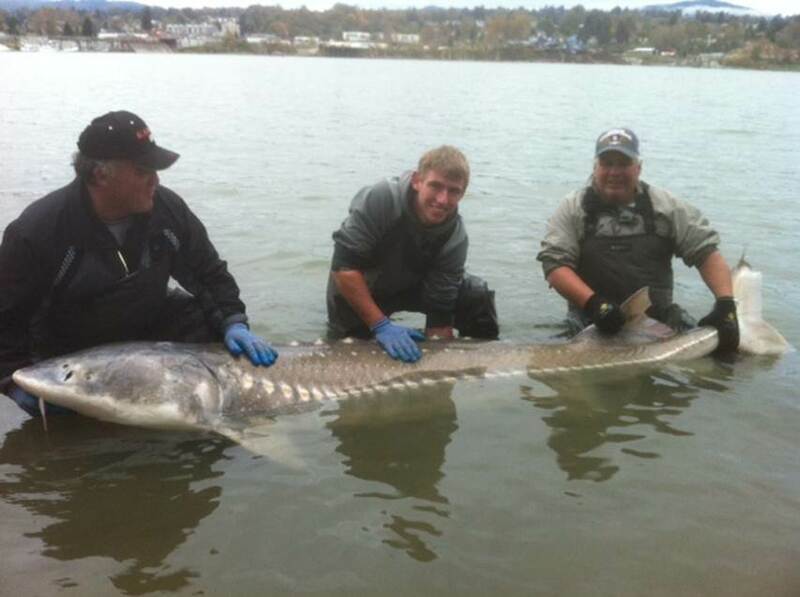 STS Guide Rob Dieleman largest fish of the season measuring over 9ft. Tom, Thomas and Doug were out this weekend doing sturgeon fishing charters in some of the nastiest weather you can imagine. Although the wind and pelting rain was not on their side, they still managed to landed some fish and provide their guests with a good trip. The rest of the week looks to be mixed with some rain and cloud so really it is unpredictable and you would just have to take a chance and hope for the best. 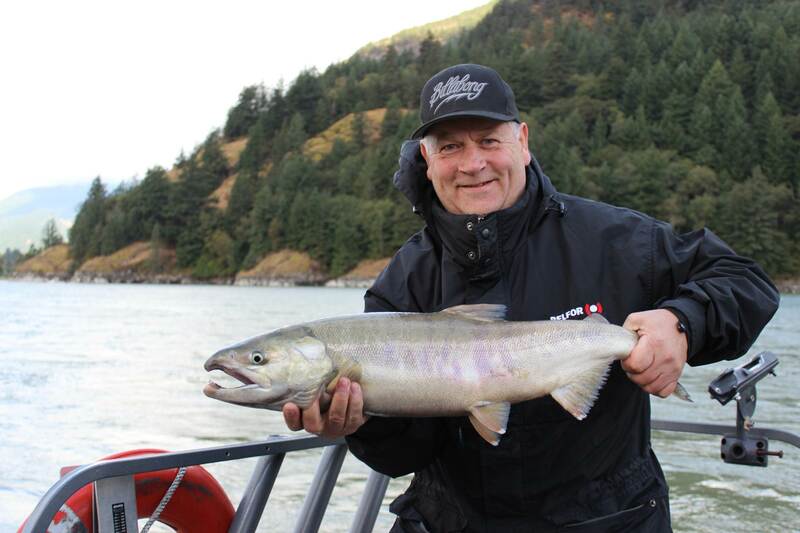 The Harrison River still has a few fresh chum entering the confluence and there are a few coho still around. Fishing is fair to good but don’t expect the crazy action that we were having a few weeks ago. Most of the Coho moving up the Harrison are silver bright heading for the Chehalis river, some will remain in the Harrison so if you know the holding area’s you should be able to find a few fish. The confluence is where the Chum action is and many of these fish are chrome bright. You need to work a little harder for them but still worth the trip. The Vedder River salmon season is coming to an end but there are still a few salmon around to be caught, mostly chum in the lower river below Vedder Crossing and some nice Coho still being caught above Tamahi rapids. Heard some rumors of a few early steelhead being caught which is pretty normal for this time of year. Steelhead season really gets started after the Boxing Day Derby which is a great indicator of how the early season will be. STS Guide Thomas Rutschmann has just got himself a new drift boat for the upcoming steelhead season. Although many anglers frown upon boats and rafts on this predominately walk and wade river, STS has a few long drifts that are rarely seen by walk and wade anglers so there should not be any issues with drifting for steelhead. We will be offering fly fishing, float fishing and pulling plugs for steelhead this winter. Salmon fishing in Vancouver is over for the 2012 season but we will start up again in early to middle of February with our winter Chinook Fishery. Our ocean boats are moored at the Delta Airport Hotel and offer easy access to the winter salmon fishery. Until then, your best bet for salmon fishing is in the Harrison or other local rivers. 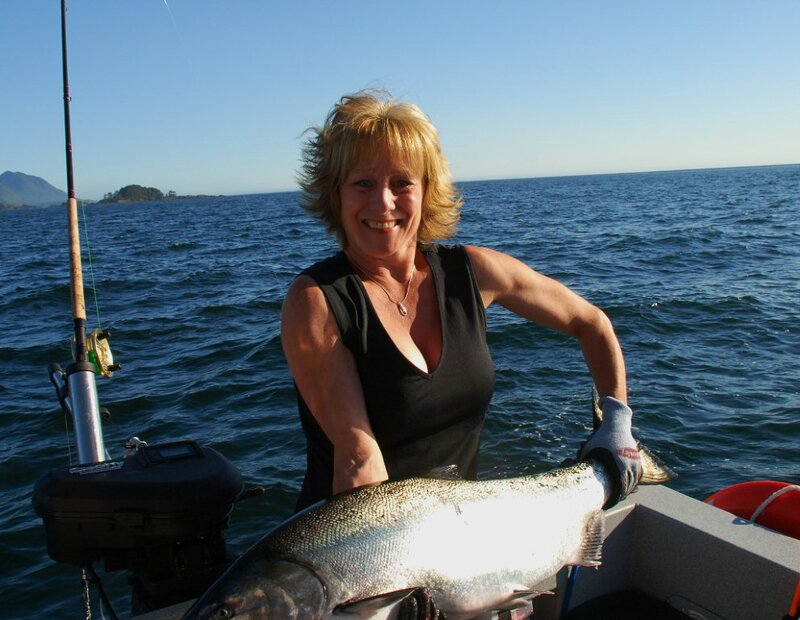 Vancouver Island Salmon fishing really gets going in early to mid July with some great fishing for Chinook, Coho and Halibut. 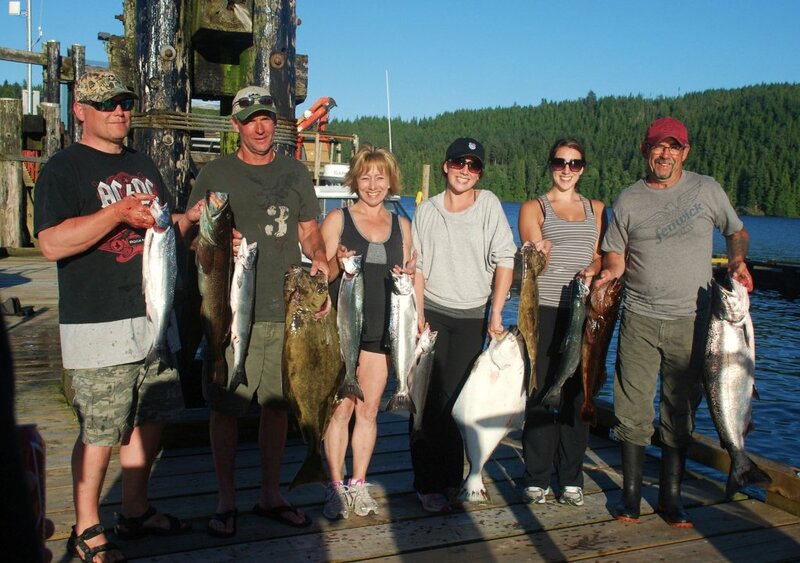 Our 4 day 3 night packages offer anglers some of the best fishing the West Coast has to offer in our remote location at the northern tip of Vancouver Island. If you are wanting to experience some of the best salmon and halibut fishing Vancouver Island has to offer, please e-mail or call us for dates and pricing. These trips are limited to 6 anglers per trip so booking early is a must. We will continue to offer Bald Eagle Tours and Fraser Canyon Tours through the winter beginning in early December. If you are getting cabin fever we have the trip just for you, give us a call or e-mail for trip description and pricing. Jet Boat tours will now be offered out of Mission Harbour as well as Harrison and Hope. 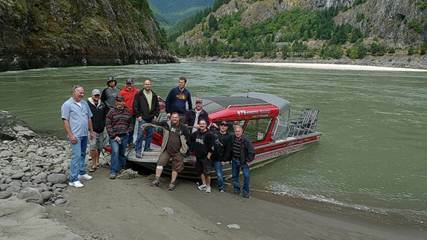 Our 28ft twin engine boat is the only Tour boat on the Fraser licensed for 12 passengers, let us show you why we are #1 in Tours and Safaris on the Fraser River. 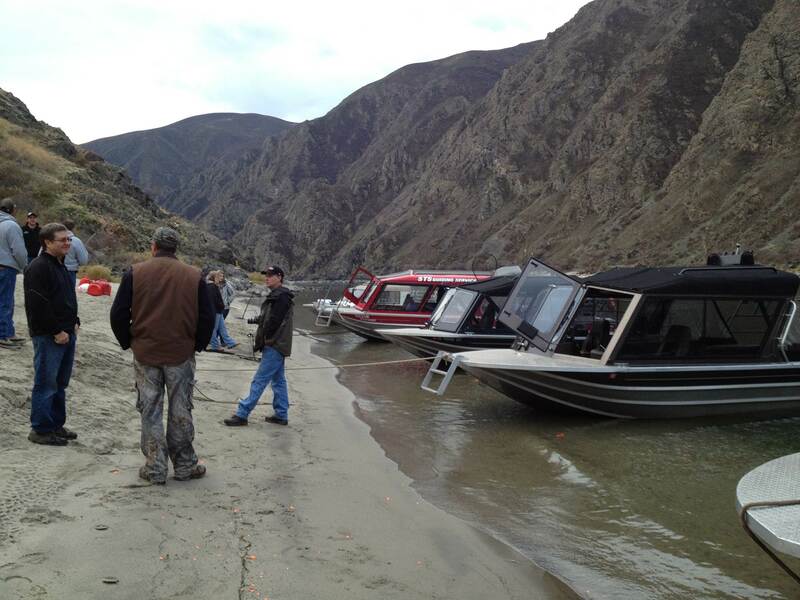 You are currently reading Winter Fishing & Tour Report at Hells Gate Jet Boat Tours Blog.